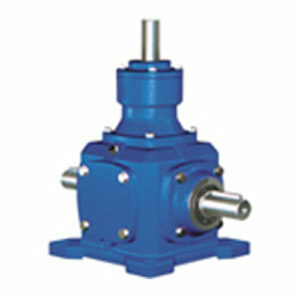 The TQG right angle bevel gearbox also called steering gearboxes includes ARA series, HD series and T series spiral bevel gearboxes, which are widely used in the application occasions where the operating direction change is required. It can be simply installed in any mechanical occasions. Customer can choose different directions freely. Bevel gears are made of high quality low carbon alloy steel, proceed with heat treatment, and grinded to achieve high precision. 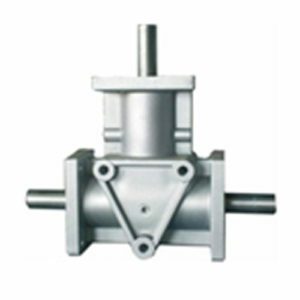 TQG right angle gearbox can be equipped with single horizontal axis, double horizontal axis, single vertical axisand double vertical axis. 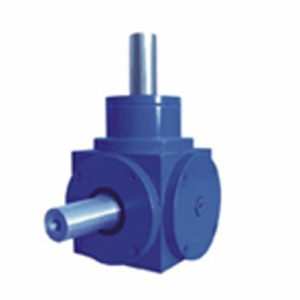 Single stage of bevel gearbox can reach 95% and the speed rations are 1:1, 1:2, 1:3, 1:4, 1:5. High power with high torque.